On September 1 Henkel purchased the laundry and home care company, The Sun Products Corporation, in the USA, an acquisition that took it to second position in the North American laundry care market. With a price tag of around 3.2 billion euros this is the second-largest acquisition in Henkel’s history. 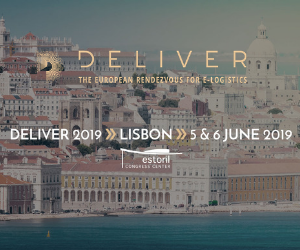 The deal is in line with the German company’s four strategic priorities: to outperform the competition as a globalized company, with simplified operations and a highly inspired team. 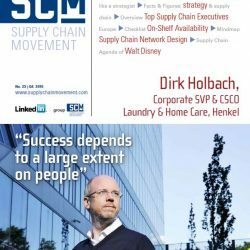 Playing a major role in the integration of the new company will be Dirk Holbach, Corporate Senior Vice President & CSCO Laundry & Home Care. For several years he and his team have been driving operational excellence in the supply chain by making processes faster and more standardized, focusing on cost-efficiency as well as end-toend optimization. We met him at the new global supply chain office in Amsterdam where he is now located. Even if companies have a clear corporate strategy, they rarely translate it into a clear supply chain strategy. The standard strategy and supply chain models fall short in this respect. New models are emerging based on real-life experience. Important factors for a successful strategy include: focus not only on the revenue and profit generated but also on the capital needed to do so, and keep a close eye on the extent to which each project actually contributes to implementation of the strategy. Supply Chain Movement and software vendor NeoGrid have put together this checklist for monitoring OSA to continuously maximise your sales. 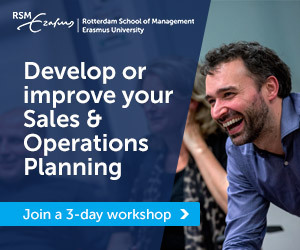 Research by McKinsey in 2011 revealed that just 35 percent of companies have a successful strategy which enables them to beat the competition. And only 20 percent of companies explicitly interconnect their strategy, product portfolio and the resources required, i.e. supply chain management. 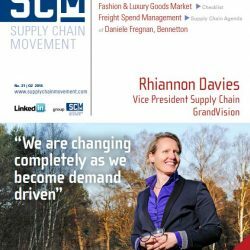 Supply Chain Media has developed a compass that visualises the correct links between company strategy and supply chain design. 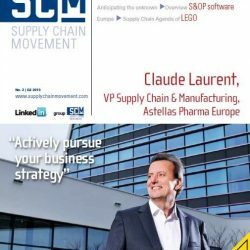 Who are the most influential supply chain executives in Europe? Which leaders are truly shaping their organisations and can be seen as a poster child of the supply chain universe? 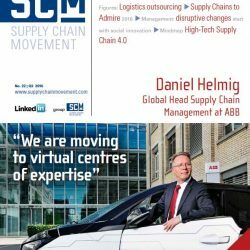 For the second consecutive year, Supply Chain Media and executive search agency Inspired-Search present a ranking of Europe’s supply chain leaders. 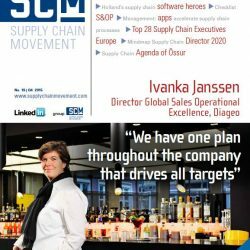 Companies in Europe will invest more in supply chain technology in the coming years, with no less than 71 percent of the companies surveyed expecting to increase their spending for 2018. 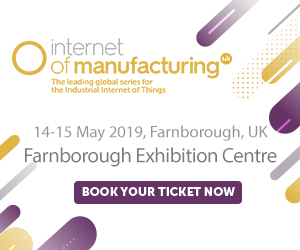 They feel compelled to do so in response to the changing market and changing customer needs, according to the findings from the joint European study of supply chain technology conducted by Gartner and Supply Chain Media. Iterative network design and planning is essential for companies to be successful in serving costumers efficiently, consolidating new assets, or expanding into new markets or products. Fact-based analysis helps them to increase market share, reduce costs and meet stringent customer demands via increasingly complex channels. 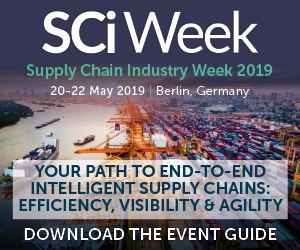 Supply Chain Movement and consulting, analytics and market intelligence firm Chainalytics have therefore developed this mindmap for Supply Chain Network Redesign, outlining the route to success and providing road signs to flag potential hazards along the way. You’d imagine having few worries working for the world’s largest media company which regularly brings out box office hits that boost its entire business. Last year Star Wars: The Force Awakens become the highest grossing movie in U.S. history, contributing just a little to the Walt Disney Company’s annual global sales of around USD 54 billion. After nearly a century the creative energy that is part of its DNA ensures that it remains one of the world’s ten most powerful, valuable, top, well-known (which ever way you measure it) brands. Yet Edwin van der Meerendonk, who refers to his employer as the Fun Factory, sees plenty of challenges ahead. Some 45% of its worldwide revenue comes from the company’s Media Networks business segment that includes the Disney Channel, ABC and ESPN linear television channels. How these adapt to changing viewing habits as people watch programmes on mobile devices when and where they want will be critical. Similarly new products, such as Netflix, are putting pressure on sales of Disney’s home entertainment products including DVDs. Based in Amsterdam and with responsibility for the European operations of Studio Entertainment, Van Der Meerendonk is redefining the route to consumers and embracing ecommerce. He also believes a huge retail base is still underutilised.